Even though other names are getting more attention at the beginning of this year’s award season, few regular movie goers could object that Michael Stuhlbarg was the most important actor of the year. He starred in three of the best films of the year and brought fully realized personality to each of the wildly different parts. In The Post he plays Abe Rosenthal one of the main proponents to Kay Graham’s (Meryl Streep) agenda. Graham is the inherited leader of the Washington Post in Steven Spielberg’s latest film. She finds herself fighting for position not only in the paper industry as a whole but within her own organization. Several men in her hire fight her at every move. Rosenthal bemoans Graham’s ideas as he desperately attempts to encourage his colleagues to agree with him that she is unreasonable and undeserving of her position. In the Spielberg way, we realize that he is the “bad guy” and she is who we are supposed to be rooting for, and it is a minor role, yet Stuhlbarg will be remembered by viewers. He has a way of standing out in a room full of his contemporaries. Is it his look? His demeanor? His acting prowess? I believe it is all three of these things. In Luca Guadagnino‘s Call Me By Your Name, Stuhlbarg is a comfortable, intelligent and playful father to Elio (Timothée Chalamet). He is a constant figure of strength and encouragement as his son is experiencing one of the most influential and impactful summers of his life. He remains in the background of the picture until he is given the weighty task of delivering the powerhouse monologue sealing the validity of a fleeting romance between his son and his star-crossed lover. The scene is simplistic in design, lighting and technical capacity yet is one of the most poignant and memorable moments captured on film this year. Finally in Guillermo del Toro’s The Shape of Water Stuhlbarg plays Dr. Robert Hoffstetler, a scientist at the research facility where a mysterious sea creature is being kept. Hoffstetler is the scientist with a heart of gold, he wants a win for science but not at the expense of the life of a living being. 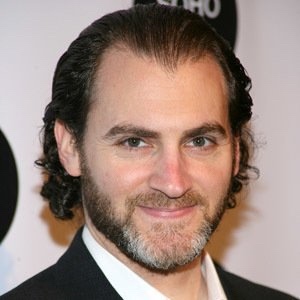 He has a few other surprises to his character and Stuhlbarg rolls them out with a natural style and masterful control. Whether he receives recognition at this weekend’s Golden Globe Awards, whether his name is announced as a nominee for an Academy Award or not, he wins 2017. Next TeenBookCon Returns to Houston on March 24th and You Won’t Believe This Lineup!